At each stage of his life, there have been people waiting for Bob Oliver ’01 (MBA) to reach them, so they can rise together. That includes the staff and students at the Haub School of Business, where Oliver is a member of the Pharmaceutical & Healthcare Marketing MBA Board of Advisors. In 2001, he earned his MBA in pharmaceutical marketing at Saint Joseph’s, speeding his trail to the chief executive’s office at Otsuka America Pharmaceutical Inc., which sells long-acting injectable ABILIFY MAINTENA®, REXULTI® and other mental illness, cardio-renal and cancer medicines. 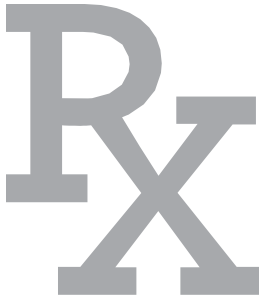 Otsuka is best known for its promotion of ABILIFY, which in 2013 was the highest selling prescription drug in the U.S. market. 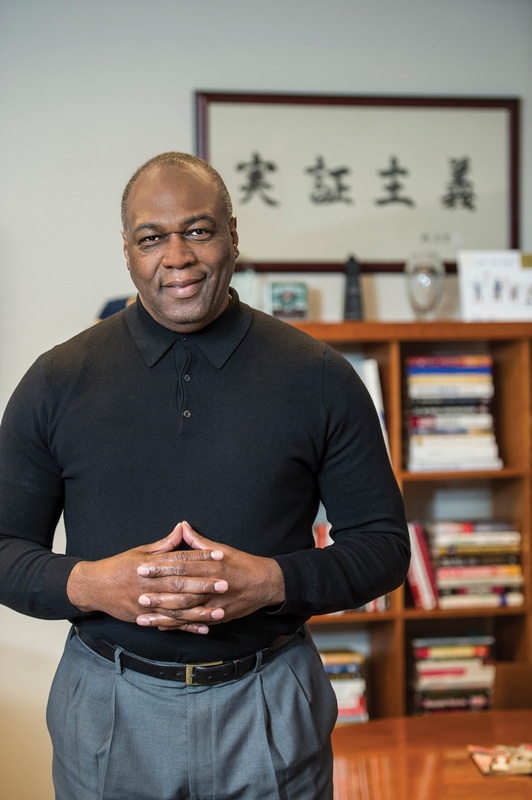 Oliver is the CEO — servant and leader, as his friend and HSB classmate Eric Floyd, Ph.D. ’03 (MBA), chief scientific officer and compliance head at Dohmen Life Science Services in Milwaukee, says — for the Japan-based company’s 1,200 employees. Hard work. Honesty and integrity. Following through on what you say with your deeds. Being a consistent example. That’s when people trust you. And trust is really, really important. Last fall, Ebony magazine picked Oliver, along with fellow CEOs, the Obama family, entertainer Beyoncé and the NBA’s Michael Jordan, for its yearly Power 100 list. He jokes that his standing in the family rose when his three kids saw him in the glossy-paged company of those accomplished, celebrated leaders. The recognition reflects Oliver’s work ethic, instilled by his parents. “My mother taught me a lot of practical lessons: ‘Do it right the first time,’” he recalls her saying. His father, a chemical worker, emphasized the value of hard work by his own example. The family moved from North Carolina when Oliver was a toddler to Paterson, New Jersey, where he went to Eastside High School and played small forward on its powerful basketball team. It featured Tony Murphy, who went on to lead the NCAA in scoring; Franklin Jacobs, a high jumper on the U.S. team for the canceled 1980 Olympics; Rory Sparrow, who played in the NBA with the Knicks and Lakers; and Bernard King, of the Nets and Knicks, a Naismith Hall of Famer. For Oliver — husband to Denise and father of Deion, David and Sherrell Oliver-Riley ’09 (B.A. ), ’11 (M.A. ) — the values of family, sports and business run together: “Hard work. Honesty and integrity. Following through on what you say with your deeds. Being a consistent example. After a short stint at a small Southern school, Oliver went to Rutgers University, walking on to the basketball team. He graduated, worked in banking and was then recruited into New Jersey’s pharmaceutical business at a time of rapid growth. His bosses at Johnson & Johnson needed managers who could handle the pace. “They thought I had good skills,” he says. Floyd lectured Oliver on drug development, Oliver told Floyd about marketing and commercialization, and together they plotted careers to exploit Big Pharma’s shift from internal research and development toward buying therapy startups. After earning his SJU degree, Oliver took a senior job at Wyeth, then a buyout when Pfizer purchased the company in October 2009. He planned a year off, but Otsuka’s recruiter cut that short. He joined the company in mid-2010 and built a team. Otsuka doesn’t have a traditional hierarchy; it’s a culture of trust, and Oliver has won the company’s trust, says Floyd, who worked with Oliver and Otsuka on bringing ABILIFY to market. Symbolic gifts from Japan displayed in his office, including a hand-inked scroll (translation: proof through execution), signal the growing confidence — and trust — of Otsuka’s owners. Joe DiStefano is a Philadelphia Inquirer business columnist.